I'm excited to introduce my first European travel post by Sara Lynne Mofatt author of bringingbeautyhome. Sara is a Canadian living in Switzerland. She decided to take a break from her corporate life last year to take in the world so to speak. She is a travel enthusiast who has great eye for art, design and architecture. And, a true appreciation for good food. Anyone who likes to take an afternoon break for a glass of prosecco is okay in my book. Sara and her husband are fabulous photographers. She'll take us on a tour of one of her favorite places -- Zürich. Let's get to know her first. Q: Dogs or cats? Cats – three! Julien, a spinach-loving Tabby, Charlie, a very chatty Burmese and Zoe, an elusive Norwegian Forest, live with us. Q: Spring or fall? Spring for those first warm sunny days when everyone wears a smile and bistro patios open. Fall for its display of colours and the sound of leaves crunching underfoot. Q: Beach or mountains? Mountains!!! This is me hiking on Ebenalp in eastern Switzerland. Q: Favorite city? Paris, France for its incredible variety of architecture, culture and cuisines. Q: Best meal you've ever had? While the best meals I've ever had are those spent at home in the company of family and close friends, three travel meals stand out. 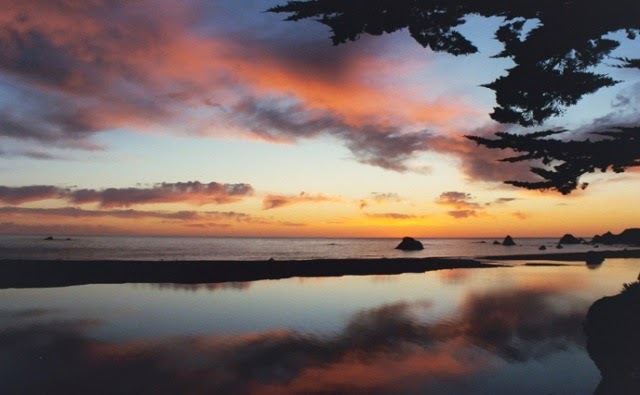 A flavourful, perfectly-served dinner at the River's End Restaurant in California (where the Russian River meets the Pacific Ocean) was accompanied by this magnificent sunset. The evening was topped off with an overnight stay in one of the on-site cabins. Feasting on the chef's tasting menu at Restaurant Tim Raue in Berlin. Lucky for us, two six-course tasting menus were available the evening my hubby and I were there. We tried both! 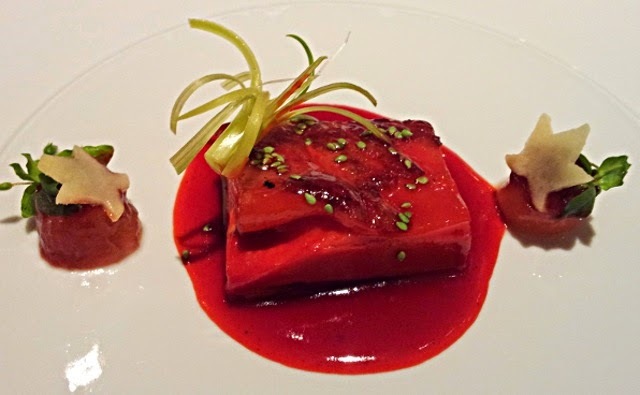 Among the dishes was roasted suckling pig belly with star anise, cinnamon blossom, spring leek and a pomegranate sauce. A bit more rustic, yet equally memorable, was a lunch of macaroni, potatoes and cheese (aka Älpermagronen) chased down with an ice cold beer at the Gasthaus Schäfler. Since relocating to Switzerland three years ago, my hubby and I have had many opportunities to visit its largest city, Zürich. 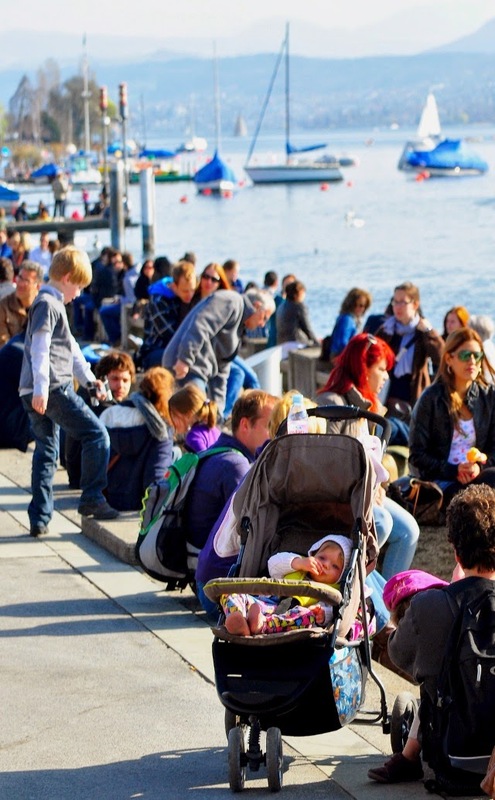 Located an hour from our quiet, quaint home-base of St. Gallen, Zürich is where we head for some local big city life. The city is home to about 2,000 restaurants; I've eaten at a number of them. However, it's the late afternoon pastry, coffee and prosecco breaks that I've enjoyed the most. Cafe Conditorei Schober is a few minutes walk from the Grossmünster. They offer light meals and scrumptious pastries. The patio at the front of the house is a perfect spot for people watching. Just across the laneway is Schwarzenbach, one of the best coffee houses in the city. UNA for exquisite handmade gloves and accessories by Helen von Albertini. One of my sisters came across this treasure box when she was visiting. A former long-time resident of Zurich, Ms. von Albertini is now based in the village of Ardez, which is located near St. Moritz. There, she designs and creates the beautiful leather, silk and wool gloves and other accessories that are available at UNA. 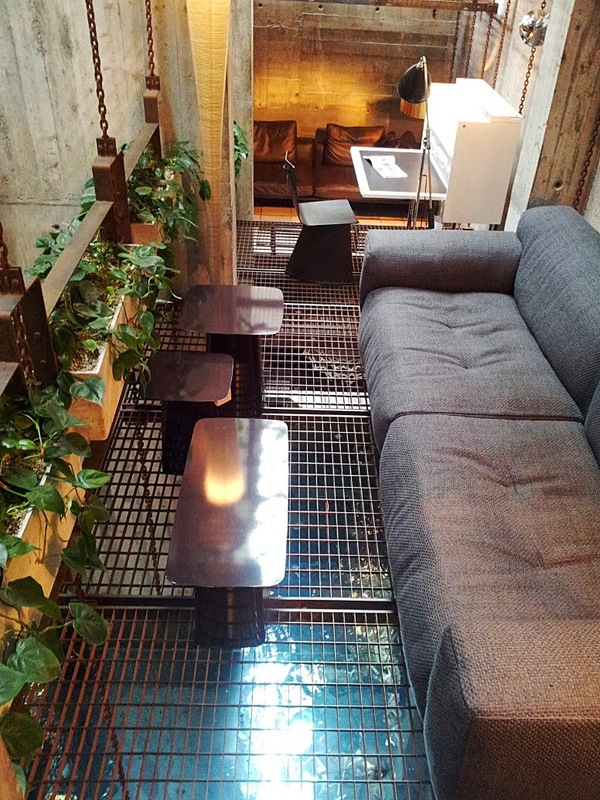 Neumarkt 17 as much for the exploring the quirky store interior (check out the metal grids suspended over a pool in the photo below) as for the fab selection of contemporary home furnishings and lighting. Einzigart for fun gifts, gadgets and home accessories. Located about a 10-minute walk from the central train station, the shop carries many prototypes and one-of-a-kind designs. Meandering along the narrow downtown laneways and the lake promenade is one of my favourite things to do in Zurich. There are plenty of special events, historic sites and museums to take in as well. Here is a selection of photos taken during my visits to Zürich. 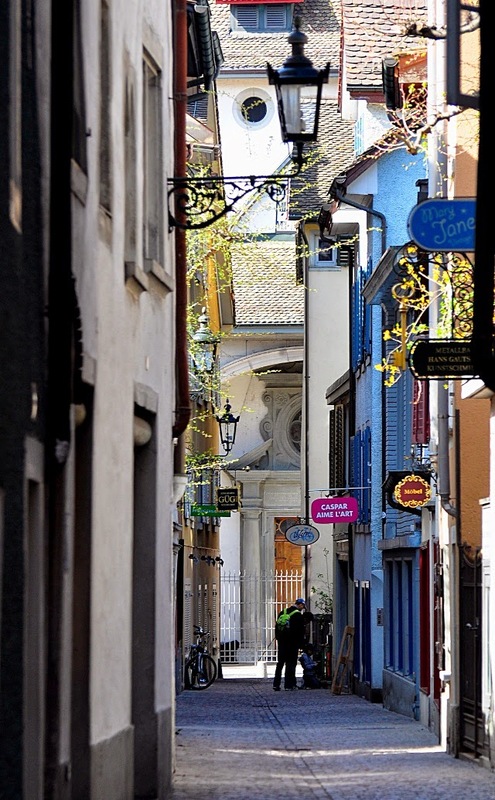 Just one of the many winding laneways in the old town. To view a wonderful collection of non-European artworks, I highly recommend spending a few hours at the Museum Rietberg. 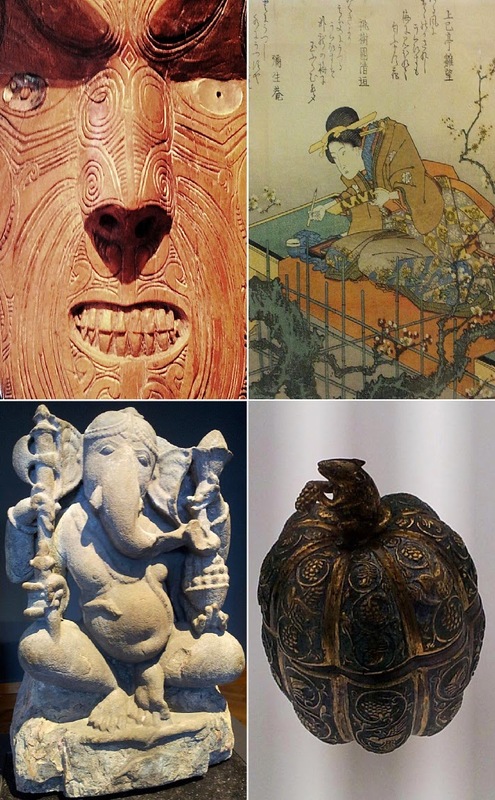 The museum hosts a number of special exhibitions throughout the year. I recently enjoyed an exhibit of works by artists from Africa's Ivory Coast. Unfortunately, photographs weren't permitted. However, I've included a few taken of the museum’s regular collection. 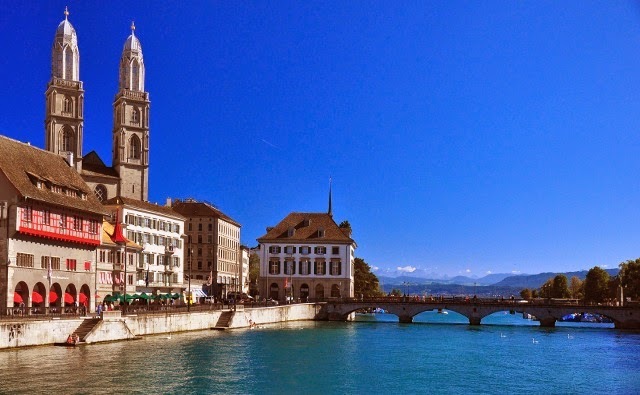 When visiting the city, consider purchasing a ZürichCARD. For the price of the card, you can tour many museums, ride the public transit and receive a 10% discount at specific shops. A card valid for 24-hours is currently priced at 24 CHF per adult and 16 CHF per child between the ages of 6 and 16 (free for those under six). With a typical museum entrance fee running about 14 CHF per adult, and a single tram ticket costing just over 4 CHF, the card offers great value. As for hotels, I would recommend B2 Boutique Hotel and Spa. It's housed in a historical industrial site, the former Hürlimann Brewery. The hotel's interior is refreshingly contemporary, from the leather-strapped library chairs to the wide-plank flooring and Tom Dixon Beat pendant lights. 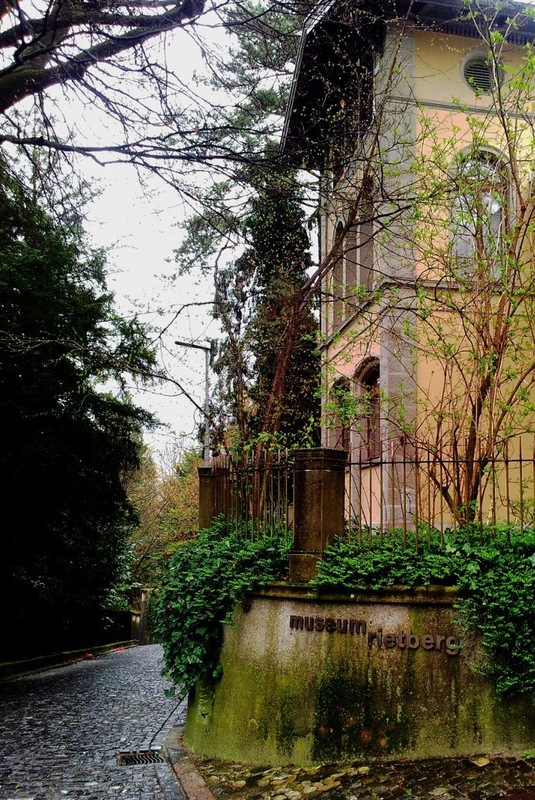 Located in a quieter area of Zurich, B2 is a quick tram ride into central Zurich and a pleasant 10-15 minute walk to the Rietberg Museum. Price-wise, it's about average for Zürich (not known to be a city of bargains). See New York Times review of the hotel. More affordable hotels can be found closer to the airport. The airport is only one train stop away from central Zurich, so staying near the airport could work well for budget-conscious travelers. If I were to do it again, I would spend an evening at the opera. Thanks for stopping by, Sara. 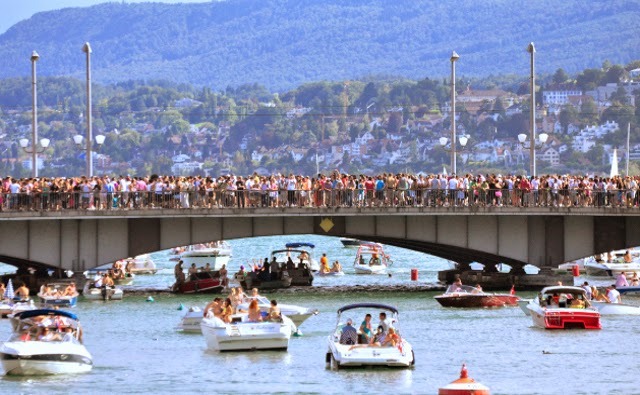 If I had 36 hours to spend in Zürich, I would do all of the above. 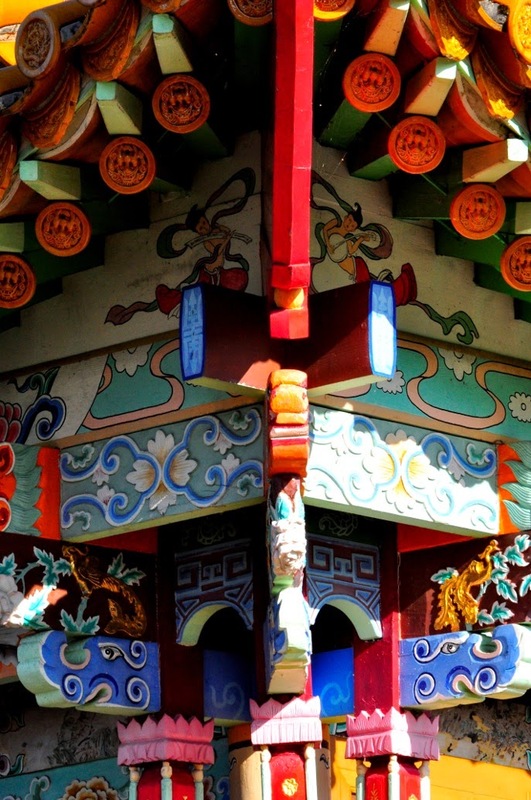 Be sure to visit Sara's blog for in-depth posts on travel, art, design and food. Or, just to view her beautiful photos. Beauty Alert: Dr. Q Cosmetics Giveaway!